As Phoenixville Area High School students prepare to end the United States’ eight-year absence from the International Young Physicists’ Tournament (IYPT), faculty from University of the Sciences have spent the past few months helping them polish their science and research skills before the week-long competition in Thailand this summer. The IYPT, commonly referred to as “Physics World Cup,” is one of the largest annual team-based physics competitions. The competition is made up of 17 non-examination research problems and discussion-based sessions called “Physics Fights.” More than 30 international teams of high school students will be judged by expert physicists. 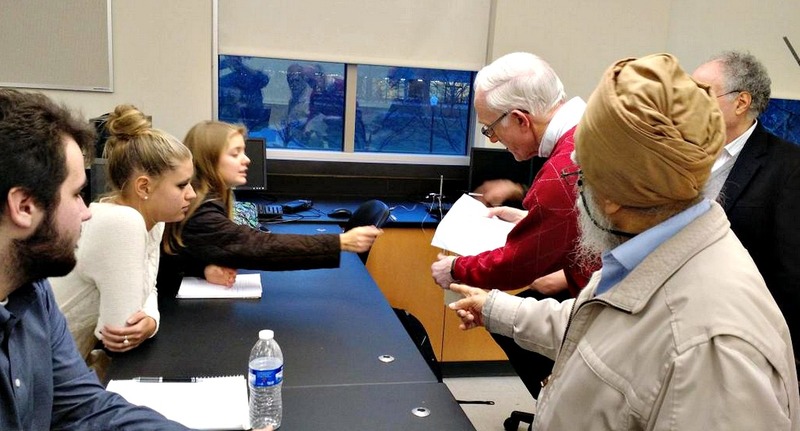 To do this effectively, physics faculty from the Department of Mathematics, Physics and Statistics at UScienceshave worked closely with the students to help them identify ways to improve their experiments, clarify their conclusions, and reach their fullest potential. The IYPT problems are not tasks which can be solved within a short time with known methods, like in an exam. Instead, they are more complex, open-ended questions that can be solved from different angles. These problems were published several months ago to give all participants enough time to work with physicists and mathematicians to conduct experiments and hone their scientific thinking skills. Because only five students can represent the United States in Thailand, a U.S. IYPT National Selection Tournament will be held at Phoenixville Area Middle School on March 14, to determine the team roster. Like the international competition, students will present their research into one of the IYPT problems. A panel of judges will then grade them based on the originality of their research, quality of the experiment, clarity of their presentation, and their ability to answer the panel’s questions. The U.S. team will consist only of Phoenixville students this year, but Jennings said he plans to open this competition to students across the Delaware Valley next year.